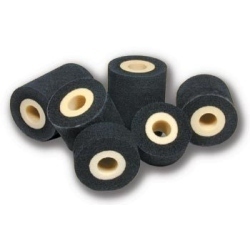 The qualitative Hot Ink Rolls offered by us are widely used for stacking type coders with metallic stereo types. Further these also have application for Markem type online printers. Manufactured using premium grade raw material and advance mechanism, these offer excellent performance. We are one of the prominent manufacturers and exporters of Thermal Transfer Ribbons. These are available in jumbo rolls and the range includes wax-resin, near-edge ribbons, resin, wash-care, special & color ribbons. With the assistance of in-house slitting capabilities, we make sure that we supply slit rolls to our clients. 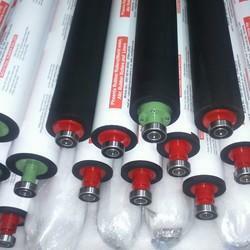 Our company is engaged in providing a unique range of master roll at highly affordable prices. We procure high quality rolls from reliable vendors and suppliers to fulfill various needs and demands of our respected customers. We are Authorised Dealer and service providers All types Riso Master roller, for digital duplicators. Due to our proficiency in this field, we are proficient to offer good quality series of Ink Roll.